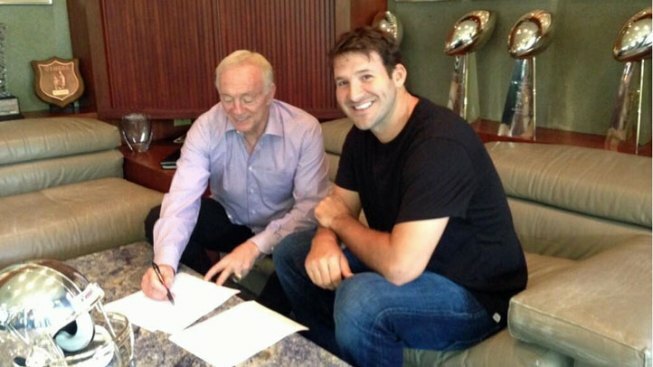 When Dallas Cowboys owner and general manager Jerry Jones publicly stated that he would consider trading the team’s 2016 first round pick to get better now, he was quick to mention that Tony Romo was a big reason why. Romo is playing as well as he ever has at the moment--but he is also 35 years old. Speaking to USA Today recently, Jones revisited this thinking, saying he and the Cowboys believe that--with Romo where he is in his career--the time is now to be very aggressive as a front office. Basically, not that he’d say as much, the window is beginning to close for this core of players led by Romo. "It is really about the opportunity that presents itself, probably in every case," Jones said. "I'd like to tell you I sat down and strategized after last season. It's almost like the draft. Let's be real aggressive. “At this juncture, that has everything to do with where (Tony) Romo is, and the level of players we have."